I have been looking to add a small yurt at my camp to use as a shower room. My camp already has a 30′ yurt by Pacific Yurts, but this time I wanted to try something a bit more local. 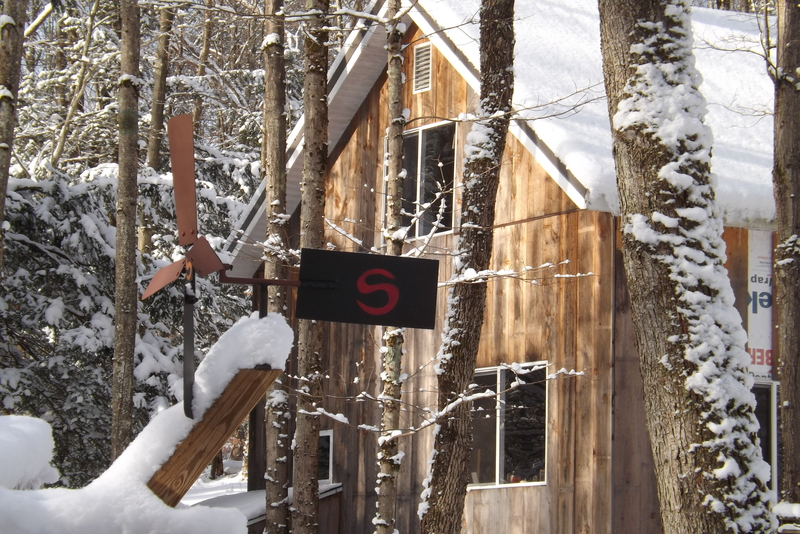 Surely Yurts is a small yurt business owned by Steve Reed in Taberg, NY. 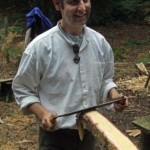 I have often communicated with Steve before as he is a member over at our other site, yurtforum.com. I have been somewhat drawn to his yurts because they have a unique Adirondack feel to them. The Adirondacks is where my camp is, and I love the entire region. I guess it is only natural that I have an eye for Surely Yurts. I am not sure if Steve agrees with me on whether or not his yurts are Adirondack themed, but for myself, I couldn’t help but notice it! I decided to pay his shop a visit to talk about maybe buying one of his yurt kits and while I was there, I figured it was a good time to get some background on him and his operation. I got the impression that Steve wished he had straightened up the shop since I was going to take photos, but I am glad he didn’t get that chance. I love seeing a well worked shop, not one that looks like you could eat off the floors! We met up in the village and I followed him back to his shop. The first thing you see is the house. I can understand that, as his yurt is a cozy, comfortable structure that is perfect for his setup. More on that later though, let’s see the shop! 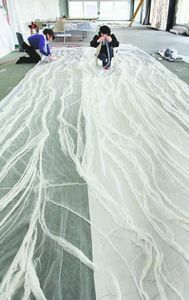 This way he can fit the fabric custom to each one he builds. 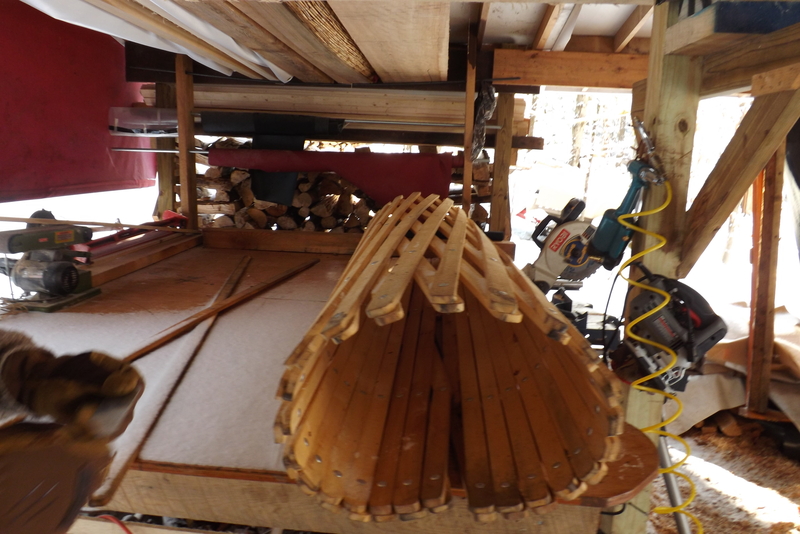 Every yurt he makes is hand crafted by Steve and helpers. I happened to visit right after we received a bunch of snow, but Steve was kind enough to show me the 10′ platform. The shop is a work in progress as much of it is outdoors. 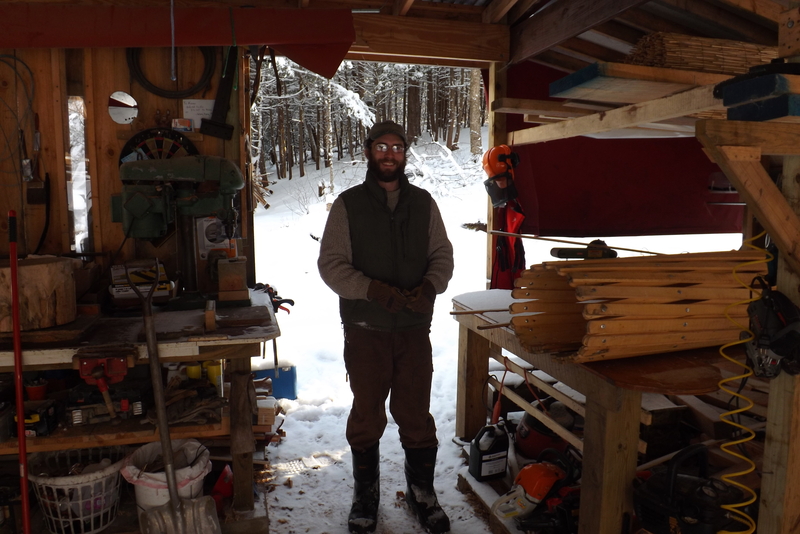 It can make for some cold working this time of year, but Steve is working on enclosing it to make winter working a bit more comfortable. For those of us who have spent a lot of time in upstate New York, shops like this are pretty common. 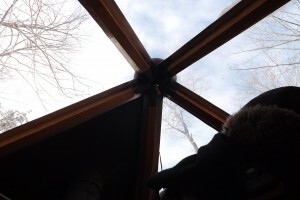 It reinforced the entire authenticity of these Adirondack style yurts. 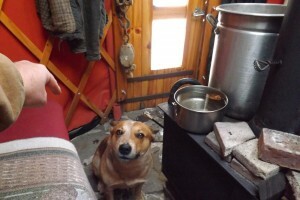 Steve let me visit his private yurt to get an idea of what I would be getting for a shower room. It was a warm place to be and very comfortable. With the Callahan style mortared stone floor, it just felt like home. And here is his dog Cooper, who returned after being on an adventure. We had a good visit. We talked a lot about aspects yurt building and the industry, alternative heating and energy, and hunting. 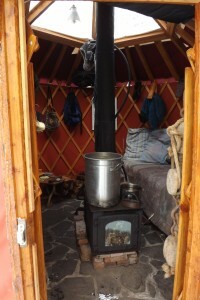 I really came away impressed with Surely Yurts and am looking forward to the shower yurt in the Spring! The only bad part of the day was that we heard the news of the untimely passing of long time yurt mentor Bill Coperthwaite. My yurt was manufactured by Pacific Yurts and I upgraded it to use 2X6 rafters and also added their snow and wind kit. That snow didn’t bother it one bit. 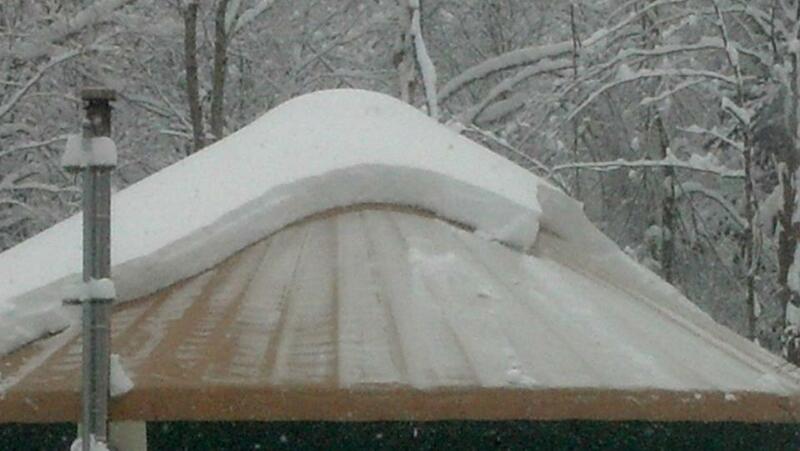 Here is a video of someone with five feet of snow on their roof! As you can see, yurts are pretty strong! It should be noted that smaller yurts handle snow load better than larger ones. I think if it was my yurt up there, being 30 feet in diameter, I would only feel comfortable with some winter time bracing. As it stands now, I am just hiking to my yurt when it is necessary to clean off the snow (or when I want a weekend away). 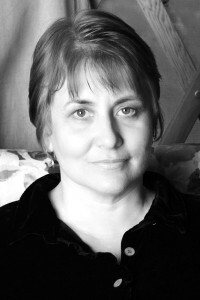 On August 18th of 2012, Becky Kemery passed away after a long battle with cancer. She was a very gentle soul and will be greatly missed by her friends and family. 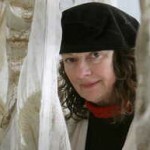 Becky was known by many as the yurt lady; a de facto source of yurt knowledge. Her book ‘Living in the Round‘ is the bible for yurt information. My name is Jeff Capron. 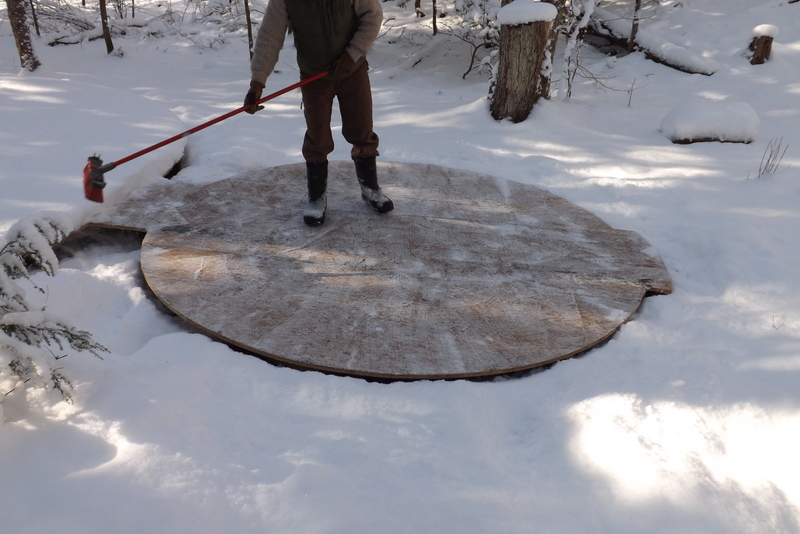 A few years ago I decided to look into a yurt to put on a piece of property I have up in the Adirondacks. It did not take long before I found this site and www.yurtinfo.org. These two sites had the most helpful information when it came to learning about yurts and without access to them, I probably would not have even purchased one. 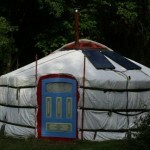 Shortly after I ordered my yurt, I started a discussion forum at www.yurtforum.com to talk about my experience. After Becky’s passing, I heard that the status of her two sites was uncertain. I feared that all the hard work she put in on her sites might just disappear. I made some inquiries with her estate and they agreed to let me take over the operations of them. I must say that I am not 100% sure on how to proceed. I expect that I will be slowly making subtle changes as time goes by. I think Becky would not want the information on these sites to get stale or invalid. I hope I can keep her memory alive as well as build upon her body of work. I am open to any suggestions her friends and followers may have. Feel free to contact me any time. When I was working on my book (YURTS:Living in the Round), I found Pete Dolan to be one of the most consistently knowledgeable—and helpful—people in the industry. Pete’s work in Customer Service at Pacific Yurts is one of the reasons their company maintains a legendary reputation for customer satisfaction. I know these days everybody wants to do all of their research and comparisons online, but keep in mind how easy it is to put together a web site with today’s computers. Someone can put together a web site and make lots of claims without being able to backup or fulfill most of those claims. It’s important to investigate companies to make sure they are reputable. One way you can do this is by checking with their local Better Business Bureau (www.bbb.org) to see if they have a satisfactory rating. It is worth checking to see if the company has changed their name, too, since this seems to be fairly common and there can be poor ratings for the company under previous names. 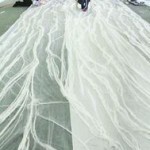 Also check web blogs to see if you can find people who have purchased from the companies you are considering in order to find out how satisfied they have been with the quality and service. Checking the company’s rating with Dunn & Bradstreet (www.dnb.com) can also give you a good indication if the company is likely to be around to help you in the future. If someone’s price seems too good to be true, it probably is. Check the specifications. I’ve seen a number of companies make claims about their products being equal to or better than ours, but their prices were significantly lower. A closer check revealed that inexpensive hardware and fabrics were utilized and the wood frame included far fewer components. 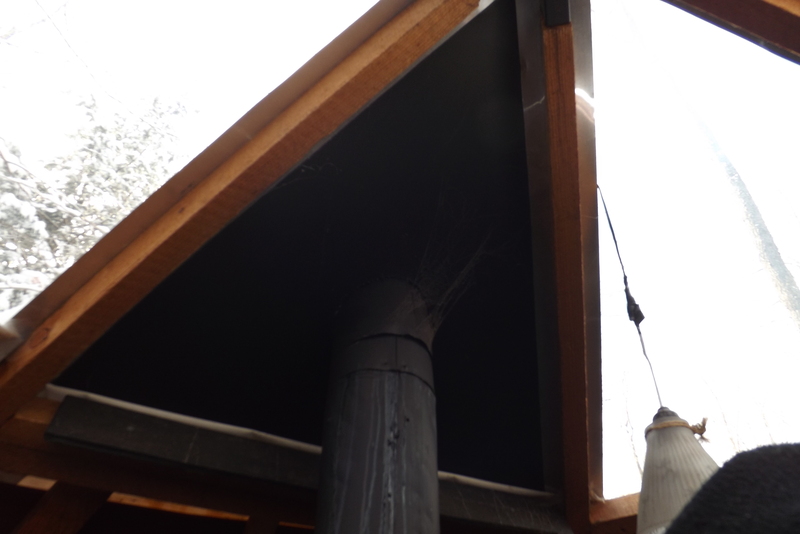 For example, one company had up to 32% fewer rafters and lattice in their yurt than our yurt of the same diameter. This can equate to significantly less strength as well. 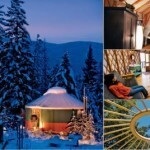 What’s the biggest mistake people make in buying a yurt? The wrong size? No. You can always add a second yurt if the first turns out to be too small. The wrong style? Not usually. Most of the fabric yurts, for example, are pretty similar to each other, and if you’re buying new you usually get to choose your options and customize it to meet your personal needs. 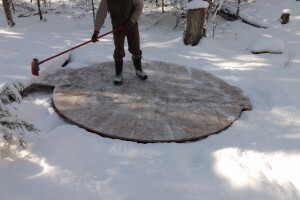 Last winter I heard from someone who purchased a Mongolian import for a rainforest climate–she’s not having much success since that style of yurt wasn’t designed for her climate. But this is relatively uncommon. 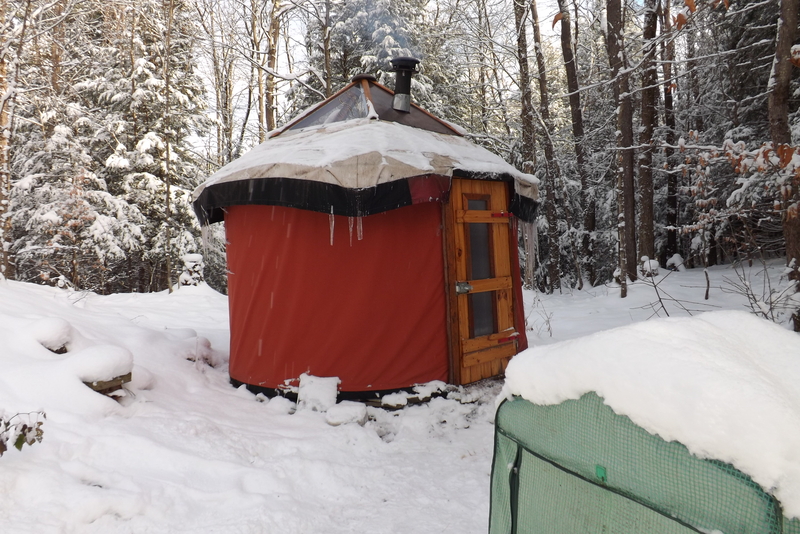 Frankly, yurts aren’t that complicated and there aren’t too many mistakes people make, except perhaps overbuying (snow and wind kits where they aren’t necessary) or underbuying (not getting insulation where it would make a big difference). But none of these mistakes is terribly serious. The most common mistake I see, and the only one that can be truly devastating, is buying from the wrong company. Devastating in the sense of losing your investment (worst case scenario) or dealing with months of headaches in trying to get your yurt set up and perhaps never getting all the right parts. 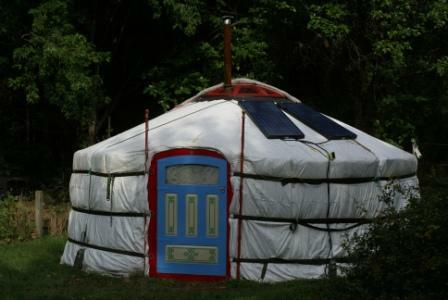 Most yurt companies are reputable businesses with a solid product. By far the majority take intense pride in their customer service and your satisfaction. My observation is that even the newest companies (in the middle of their learning curve) will usually bend over backwards to make sure that you are happy with their product and service. Let’s face it–It’s a feel good business and that’s why most people are into it. However, every once in awhile a company just doesn’t seem able to perform. Yurts won’t arrive when they are supposed to. You’ll have your platform built but then the yurt doesn’t show up for three months–or sometimes it’s 6 months. Meanwhile your platform is sitting there exposed to weather and the elements. The baby that was supposed to be born three months after the yurt arrives is born in a makeshift RV (yes, that’s a true story) three months before the yurt ever shows up. and in New York (at Cooper-Hewitt)! Coming in March…an “art yurt” at the Smithsonian’s Cooper-Hewitt National Design Museum! 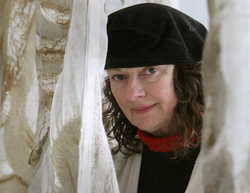 The Cooper-Hewitt exhibit Fashioning Felt, which runs from March 6 through Sept. 7, 2009, will feature a yurt installation by hand-felter Janice Arnold. Arnold (photo at right) will create a palace yurt, inspired by “the traditional dwelling of the tribal leader,” in the museum’s conservatory. 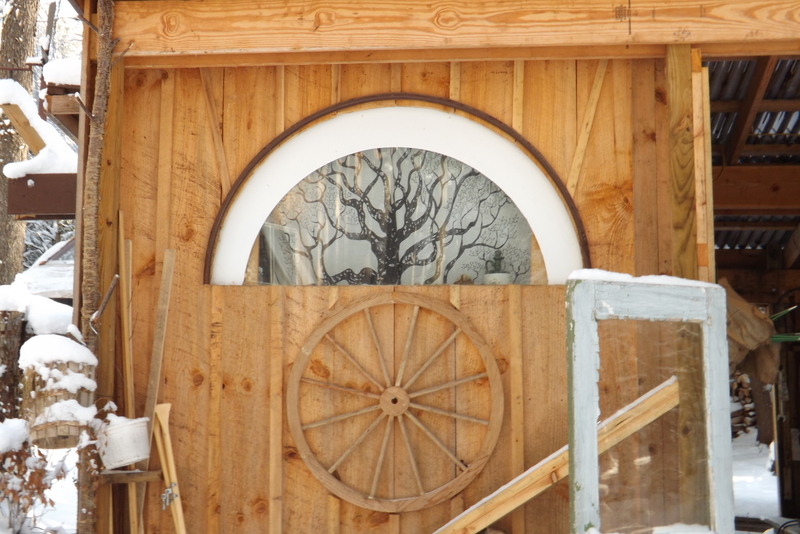 The yurt will have a ceremonial entrance; the surrounding glass walls and ceiling of the conservatory will be draped in a soft, felted material of Arnold’s creation. The Fashioning Felt exhibit provides a comprehensive overview of the uses of felt, with more than 70 works covering themes from historic examples and handmade felt innovations to contemporary industrial uses in fashion, architecture, product design and home furnishings. The Cooper-Hewitt, National Design Museum is located on Museum Mile at the corner of 91st Street and Fifth Avenue in New York City (2 East 91st Street). Plans are being made for the exhibit to travel to various locations after the run in at the Cooper-Hewitt. 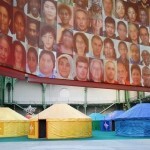 Current Affairs, Film, Yurt Manufacturers, Yurts in Paris Comments Off on Yurts in Paris! 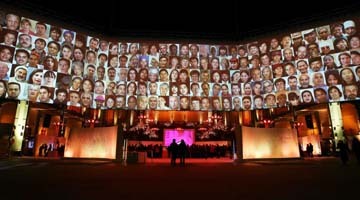 In 2003, inspired and organized by renowned French photographer Yann Arthus-Bertand, six directors set off across the world to “interview the inhabitants of the planet” on life’s essential questions. Six thousand interviews later they had visited over 65 countries and filmed over 4500 hours of footage. 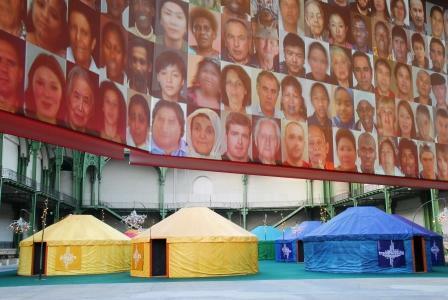 This month 450 hours of translated interviews will be shared with the world through an exhibit titled “6 Billion Others” at the Grand Palais in Paris. 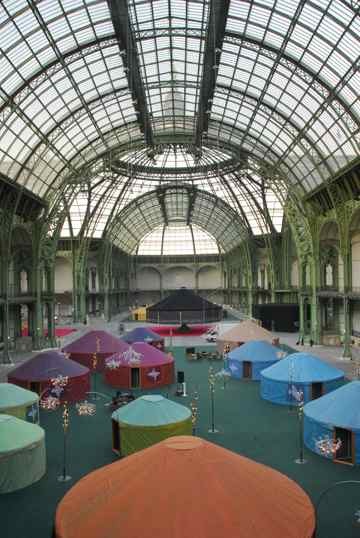 The showing takes place in twenty-five yurts set up as individual theaters. Each yurt theater is dedicated to one of 25 fundamental life questions ranging from money to family, love and happiness. Visitors (including over 140 school classes) will wander from yurt to yurt listening to the subtitled interviews and pondering their own relationship to life’s questions. 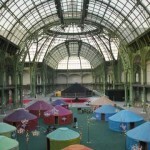 Setting up 25 yurts in Paris Want to see 25 yurts go up in three minutes? Check out this YouTube video! 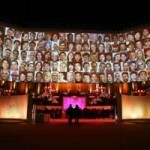 You can also learn more about this amazing project and event at the “6 Billion Others” (6 milliards d’autres) website. The show runs from January 11 through February 12. After it closes in Paris there are plans to take the show to other locations, including San Francisco. 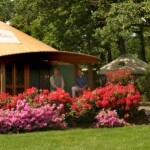 Keep an eye out–those yurts just might show up in your city! Many congratulations to Colorado Yurt Company for your participation in this great event! People often ask me about my own story–how I first got involved with yurts, why I wrote the book, and so on. You’ll find part of the story in the “Comfort Zone” column of this month’s Sierra Magazine. 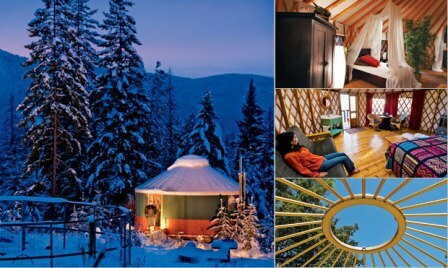 And yes, that’s my yurt in photo on the left–in north Idaho, in the winter. It’s beautiful here! My yurt is currently on loan to a friend, but I hope to have all the parts back by April so I can get it back up this May. Perhaps some of you can come help me put it up? I think we’ll be putting up a smaller yurt at the same time, maybe a tipi or two as well. We’ll post the dates at www.themedicinecircle.org. See you there! I recently received an email from yurt builder Steve Hammond of Moorestown, New Jersey, with a most generous offer. 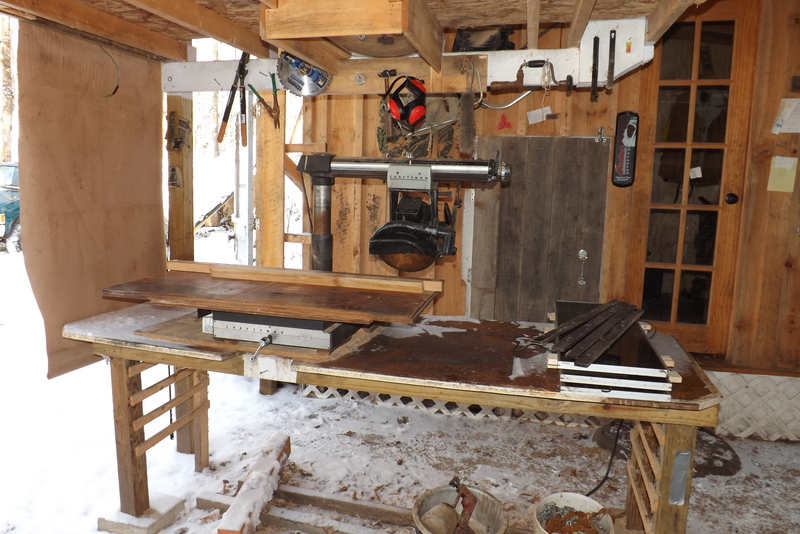 Steve has built a few Mongolian gers over the years and the “four wall” ger you see on the right is his latest. So here a link for downloading Steve’s Info in Word doc format. 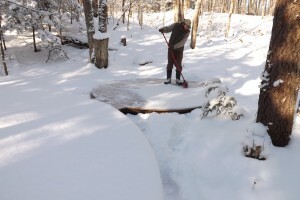 If you’re in North America and are interested in building your own traditional yurt, you might consider attending a workshop with Alex and Selene Cole of Little Foot Yurts in Wolfville, Nova Scotia (Canada). The 2009 workshops are happening January 9-11 and January 16-18. 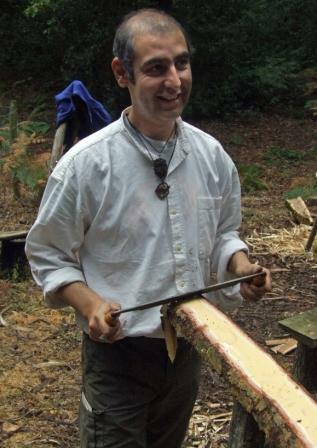 The two and a half day workshop covers the basics of yurt construction and includes coppicing (a sustainable method of timber harvesting common in Europe). You will leave with the practical skills to start building your own yurt and making your own yurt plans, and the cost is only $250. Families are welcome, too! For the full agenda and registration information go to their website at www.lfy.ca. Wishing all you builders great success with your projects. Don’t forget to look at the resources listed at www,yurtinfo.org and check out the yurt plans section on our Forum. In lieu of a Christmas Card, I’d like to forward this enchanting winter photo of a Scottish yurt, sent my way by Paul Spencer of Highland Yurts in Aberdeenshire, Scotland (Paul can be seen at right peeling a log with a draw knife). Paul tells me he will be offering some yurt making workshops this coming year (check the yurtinfo.org Calendar for a posting of workshop dates) and that he’s working on providing yurt camping in the Scottish Highlands. 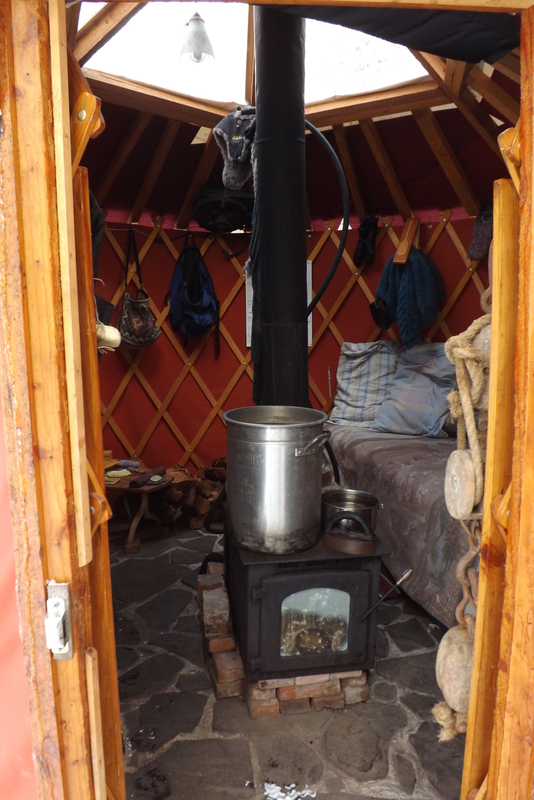 One of the delights of this season is hearing from yurt builders in all parts of the world–from Europe to China and New Zealand. It’s amazing how broad this yurt phenomenon is. Each place on the planet modifies the design to fit their local climate and lifestyle needs, but all share in that marvelous roundness and sense of uplift. I hope you are staying cozy in your yurt (or cool in the Southern Hemisphere). May you enjoy a special Solstice, a Merry Christmas and a joyous Holiday Season.